Tom Cruise delivers a riveting and unforgettable portrayal of Vietnam veteran Ron Kovic in Oliver Stone's Academy Award®-winning masterpiece. Based on a true story, the acclaimed film follows the young Kovic from a zealous teen who eagerly volunteers for the Vietnam War, to an embittered veteran paralyzed from the mid-chest down. Deeply in love with his country, Kovic returned to an environment vastly different from the one he left, and struggled before emerging as a brave new voice for the disenchanted. Download Born on The Fourth of July in Digital HD from the iTunes store. 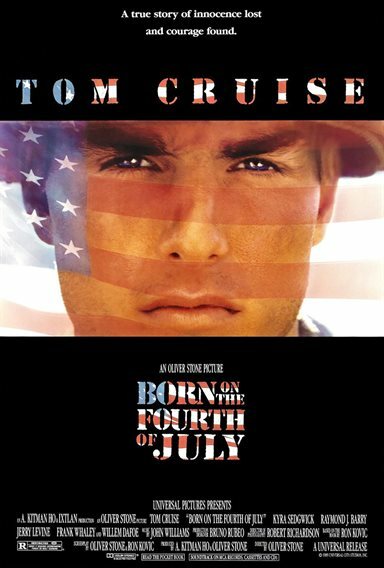 Born on The Fourth of July images are © Universal Pictures. All Rights Reserved.